TT for Abs DVD Winners!!! Congratulations to Simon, Betsy, and Rennie…our three winners of the TT for Abs DVDs. Here are the winning entries. Congratulations…and to everyone else, the TT for Abs DVDs go ON SALE next Tuesday at the lowest price ever at www.TTForAbsDVDs.com. I appreciate everyone’s entries, feedback, and abs questions. “Hi Craig, Having recently been introduced to and purchasing some of your excellent TT and circuit training workout programmes I finally feel that, using your programmes I will be able to achieve a better body shape and definition in a fraction of the time it took me to get when I was 17 and really knew nothing about the merits of interval and high intensity training. No advice from dedicated experts like yourself was available back in 1992 other than from my PE teacher at school. The need to achieve this in a fraction of the time it took back then is vital as these days I am married with 2 mild special needs young children who require a lot of love and attention to ensure they get the best out of life. Between balancing this need, work and making time to spend with my incredible wife, I feel your abs DVD set would go a long way to helping me achieve the body of my dreams whilst setting an example to my children of the importance of a healthy lifestyle and exercise all within the very limited timespan I have these days to dedicate to training. I am a 44yr old mom of 5 and i work out regularly and i am currently trying to follow the diet solution method of nutrition, but i want to know why whenever its “that time of the month” the cravings i have are off the wall, all I want to do is eat and I try to eat the right foods but sometimes i just cave. I feel like all the work I’ve done all month is for nothing. The reason I need this dvd is because i would like a step by step guide on the proper excercises i need to do, when to do them, and how to do them. and also my 22yr old son is preparing to get into the sheriffs office and would like to loose a few inches around the belly, he is always asking me what he should do to get rid of the belly. I would love to have this dvd to help us. Thank you. Congratulations to all of our winners! 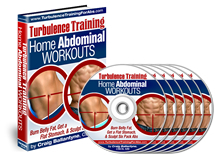 You will be sent a complete set of the TT for Abs DVDs this week. And to everyone else, thank you so much for your powerful and inspiring entries, and for your abs workout questions. I will cover them all in upcoming calls. Until then, get ready for your chance to get the TT for Abs DVDs at OVER 50% off this week ONLY at www.TTforAbsDVDs.com.